MapsofWorld.com reached a milestone in its weekly series, the Fry-Day Poll, completing 100 weeks of infographics recently. Since January 2012, each Friday, the team published the Fry-Day Poll, a comprehensive infographic that delved into one hot global topic, using facts and figures to explore the arguments. Each infographic posed a question and presented a balanced view, with information supporting each side. The data was creatively represented using images, charts, and maps, displaying the information in a quick and entertaining way. The infographics provided facts in a simplified manner, making it easy to understand and accessible to a large audience. Information provided included dates and timelines of significant events, maps showing how the issue affects places around the globe, and statistical data. 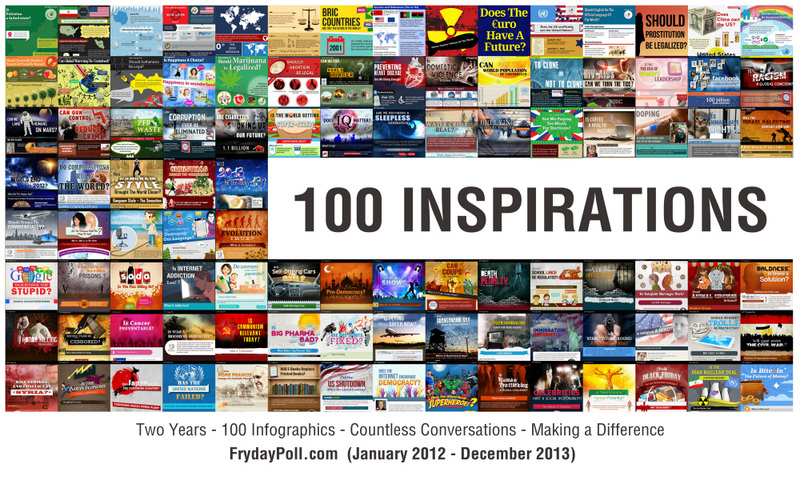 With its thought-provoking questions, the Fry-Day Poll Infographics sparked conversations, allowing readers to vote in the accompanying poll, answering “Yes,” “No,” or “Can’t Say.” The two year project allowed bloggers, journalists, and readers to interact and offer opinions via social media, including Twitter and Facebook. The site worked as a forum for debate and discussion on these important topics. The comments added to the experience, and were used to persuade fellow readers and spark debates, while providing additional perspectives and anecdotal evidence. The topics for the Fry-Day Poll Infographics ranged from pressing current events to long-standing controversies. You are currently browsing the archives for the At Infobase category.